In the early 1920’s, the Bolton Section of the Cyclists Touring Club had a very keen and active membership. The young men took part in weekend club runs and also spent many cycling holidays together in the Lake District and Yorkshire. On these runs it was not uncommon for them to test their fitness against each other and, as they became fitter and faster, they began to discuss the possibility of entering the competitive side of the sport. They had a problem, however, as the C.T.C. did not cater for racing cyclists. It was then that one of the group, 20 year old Edward Mark Haslam, had the idea of forming a club to provide members of the C.T.C. with the opportunity to take part in road racing. That a Road Racing Club be formed to cater for C.T.C. members. That The Club shall be called Lancashire Road Club. It was decided that the Club badge should be square in shape with the Red Rose of Lancashire against a white background. Even though membership was restricted to C.T.C. members there were no regular club runs as it was intended to cater only for the racing fraternity. The early objectives of the Club were to organise three 25 mile time trials and, ambitiously, a Twelve Hour time trial. In the spring of the following year on 27th April 1924, Lancashire Road Club members raced for the first time in a 25 mile time trial restricted to club members. It was held on the *Copster Course and the winner was E.Shuttleworth in a time of 1hour 15 minutes 49 seconds, with the first handicap taken by H.Jolly. Later in the year, on 3rd August the Club promoted its first Open Twelve Hour Time Trial. The start was high on the moors at Belmont village and the first eleven miles were nearly all downhill to Preston. Traffic was almost non-existent with no traffic lights or ‘Stop’ signs to hinder progress, and not even any white lines. After Preston it was out to Lytham, back to Preston, out to Blackpool, back to Preston again then up the A6 to Lancaster to finish on the roads between Preston and Lancaster. That first 12 Hour was won by a member of the Club, Bill Jardine, with a distance of 192 miles, and the timekeeper was Mark Haslam. Copster Course: This course had various starting and finishing places and there were slight variations in some short sections of road used, but it was based on the A59 Preston – Whalley Road and the A677 Preston – Blackburn Road. For the next 60 years Mark was to be the Club’s chief timekeeper and, up to the time of his death, had timed every one of the Club’s Twelve Hour events with the exception of three, when failing health in his later years prevented him from carrying out that duty. Mark died aged 95 on 26th August 1997, only nine days after attending, as a spectator, the National Championship Twelve Hour, which that year was incorporated into the Club Open Twelve Hour. With his death the last link with the founder members of the Club was severed. That win in the 12 Hour helped Bill Jardine to become the first Club Champion and the following year he again won the Open 12 Hour, this time with 197 miles, and became the Club Champion for the second time. In the early years measuring the 12 hour course was the responsibility of Mark Haslam and Bill Jardine. The measuring was done by counting wheel revolutions, and Mark and Bill would often disagree on the correct method to be used. The question of whether a hard or a soft tyre should be used, and which would give the correct distance was the bone of contention! Later Mark had the assistance of Tommy Barlow, Manchester Wheelers Club, in measuring the course, and this was a big step forward as Tommy was a good mathematician and was acknowledged as being the expert on course measuring. The course, as it does today, used the roads in the Cockerham, Stakepool, Nateby, Garstang area and, before the sea defences were built, the competitors often had to contend with flooded roads when the tide came in. The rise and fall of the tides would need to be checked and the course changed if necessary so that riders would not have to suffer the problem of riding through the water. Before the start of the 1926 event the River Wyre overflowed its banks and the roads in the whole area were flooded, as far as Great Eccleston, for three days. To check whether it would be feasible for the event to take place in those conditions, Mark Haslam and Harold Crompton rode over the course beforehand to check whether the riders would be able to ride in deep water, with Mark reporting that he had ridden through water up to the level of his saddle! Fortunately when the day of the event came round the floodwaters had subsided so the event went off as planned – on dry roads. Up to and including 1946, the calculation of a rider’s final distance was done by means of a “follower out”, a rider who would ride behind the competitor until the 12 hours had elapsed. The follower would carry a watch, which would be synchronised with the chief timekeeper’s, and when the rider’s time was up he would be stopped and his position noted so that his mileage could be calculated. It was not until 1947 that timekeepers were used on the finishing circuit to record the riders’ mileages. The only other event promoted by the Club in 1924 was a Club 50, which also started at Belmont. On this occasion 19 year Old Cliff Baxter was the winner in a time of 2.30.12, a win he repeated in the following year. Little did young Cliff imagine that he would become a national figure some thirty years later when he won the National Veterans’ Championship. The Club was now firmly established and, on 31st January 1925, a little over a year after its formation, the first Club Dinner was held. This took the form of a potato pie supper at Mitton’s Farm, Belmont, and the price was one shilling and sixpence (7 ½p). On April 26th 1925 the Club promoted its first Open 25, which was won by J.Cadman, Chorley C.C., with a time of 1.8.37. The fastest Lancashire Road Club rider was H. Jolly with 1.12.28. Mather, Davidson, Baxter, Jardine, Heap, Greenwood. Alferoff, Bussell, Constantine, Murphy, Pullen, Smith. A good example of the dogged spirit shown by Club members was the ride of Mark Haslam in the North Road C.C. Open 24 Hour Time Trial held on 11th September 1927. He had three crashes, one involving a cat, a second with a woman cyclist and a third caused by a lamp, which fell into his front wheel. As a result of these misfortunes, he suffered sprained wrists, cut knees and a damaged machine but, in spite of these tribulations, together with the cold conditions, thunderstorms and sickness, Haslam ran out time with the fine total of 336.5 miles. In 1926 Albert Mather was the outstanding rider, winning both the Club 50 and the Open 12 Hour, and these successes enabled him to follow Bill Jardine as Club Champion. In memory of Albert, the winning team in the Club’s Open 12 Hour is awarded the Albert Mather Shield to be held for one year. 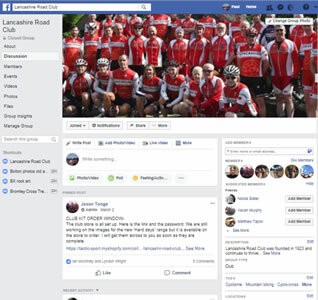 In addition to time trialling and road racing, another form of competition for the road-racing cyclist is to attack one of the records of the Road Records Association. These are either the fastest recorded times over fixed distances or of place to place fastest recorded times. Over the years a number of club members have attempted some of these records with varying degrees of success. Some have been successful and are described in other chapters. The diminutive Albert Mather was the first member of the Club to consider record breaking. He had taken the Club Championship for 1926 with his wins in the Club 50 and Club 12 Hour, and decided to crown his year by attacking an R.R.A. Record. The record for the Liverpool to Edinburgh solo bicycle was 12 hours 20 minutes set by W. Jones as long ago as 1909, and Albert thought that this was well within his capabilities. On 5th September 1926, he started his ride at Liverpool and when he reached Edinburgh he had lowered the record to 11 hours 29 minutes for the hilly 210.5 miles, a margin of 51 minutes over the previous record. The following year a new name was inscribed on the Club Championship and Club 50 mile and 12 Hour trophies when Eddie Barlow emulated Mather in winning all three. On 5th February 1928, a meeting of representatives of local cycling clubs was held at Copster Green with the object of forming an association to bring some order to the local racing calendar, which up until that time had, on occasions, seen two clubs promoting events on the same day on the same course. A further object was to ease the burdens of administration and finance on the clubs who found it difficult to promote the longer distance events because of these constraints. Thus the North Lancashire Time Trials Association was born and, until the Road Time Trials Council replaced the Road Racing Council some ten years later, the Association exercised some control over the local time trialling scene. The Lancashire Road Club had representatives at that meeting. A challenge by the Palatine C.C. in June 1928 resulted in a rough ride in the Trough of Bowland. The teams were Rowe, Leach and Green for the Road Club against Hughes, Slater and Robinson for the Palatine. Once again the L.R.C. came out on top with a combined time of 9hrs 30mins 44secs against 10hrs 26mins 41secs. Another new name was now appearing on the scene, that of Percy Duce. Percy was a long distance specialist, winning the Open 12 Hour in 1930 and 1931, the Club 12 Hour in six successive years between 1928 and 1933, and the Club Hundred, which had only been introduced in 1930, in its first two years. Although he never won the Club 50 his long distance times were good enough for him to take the Club Championship in 1929, 1930 and 1931. With the advent of the 1930’s considerable interest was aroused by the National Best All Rounder Competition, and in 1932 a party of 24 club members rode down to London to attend the annual B.A.R. concert and prize presentation at the Royal Albert Hall. Club members also thought nothing of riding down to London to see the last night of the Six Day, to ride back home again the following day. These rides were not thought to be extraordinary, as training runs in the early days regularly averaged 200 miles, starting in the early morning and arriving home sometime in the evening. The 1930’s saw the emergence of the Club as a force in time trialling and track racing. New riders were coming to the fore, among them Jimmy Graham and Frank Hart, and many individual wins and team wins were recorded. Jimmy Graham had wins in the Club 50 and Club 100 and succeeded Duce as Club Champion in 1932, and Frank Hart won the Club 50 in 1933 and the Club 100, 12 Hour and Club Championship in 1935. In 1933 Frank Hart was the first club member to appear in the National Best All Rounder table. With rides of 2.15.33, 4.59.09 and 226 miles he occupied 50th place in the table with an average speed of 20.186 mph..
Jenkinson with 1.15.37 second handicap, and that year Ossie became the Tricycle Association Best All Rounder Ossie’s crowning achievement was in September 1935 when, in the Palatine C.C. Open 50 he smashed the Tricycle Competition Record with the magnificent time of 2.22.49. This record was to stand for 13 years and even today it is still the L.R.C. tricycle record for the 50 mile distance. Jackson competed on two wheels as well as three and among his successes were his wins in the N.L.T.T.A. 100 in 1934 and 1935 and the Club 12 Hour in 1936, all of which paved the way for team wins. He also won the Douglas C.C. Open 12 Hour with 232.875 miles. “…a surprise packet came in the way of the handicap winner W. Jenkinson, a Lancashire Road Club member who, in his very first race of any kind on a bicycle, covered the 25 miles in 1 hour 10 minutes 24 seconds. Given the maximum allowance to novices, 12 minutes, it gives him a net time of 58 minutes odd, which no aspirant to speed honours can ever hope to achieve actually”!!! In the midst of the racing activity there was a strong social element present. Slide shows, dances, lectures and dinners were all regular occurrences and helped to keep a good spirit in the club.C.T.C. membership was compulsory and most members had a strong touring background. Consequently, regular club runs were now held, particularly in the close season, and weekends away to the Lake District and the Yorkshire Dales were regular features. In the local holiday weeks tours would be organised to places as far away as Devon and Scotland. With all these activities strong friendships were established, many of which endured for 50 / 60 years. Probably the most notable rider in the years 1933–37 was Arthur Warburton. The times achieved by “Warby” set new standards for the other members of the club to aim for. At 25 and 50 miles he was a prolific winner, and in 1934 he was 24th in the B.B.A.R Competition with rides of 2.09.31, 4.51.46 and 222.1 miles to give him an average speed of 20.746mph. In 1935 his 4.34.59 in the Bath Road 100, his 2.9.38 win in the Palatine C.C. 50 and a 12 Hour ride of 225 miles, improved his B.B.A.R. placing to 16th with an average speed of 21.237mph. These outstanding performances by Warburton brought great honour to the club. In 1936 and 1937 it was the turn of Ossie Jackson to be the highest place club member , in 1936 in 34th position (20.822mph) and in 1937 in 41st (20.930mph). In 1934 the N.L.T.T.A. introduced a Best All Rounder Competition and, in spite of having riders of the calibre of Warburton and Jackson, the Club was unsuccessful in the quest for individual honours. It was a different story, however, in the Team Championship, as the Club was in premier position in the first four years of the competition, 1934, 1935, 1936 and 1937. This riding was clearly a challenge to the younger members, prominent amongst them Eddie Leece and Stan Haslam. Eddie and Stan became national figures in the cycling world and their exploits are detailed elsewhere in this narrative. In 1938 the team of Stan Haslam (34th, – 2.14.09, 4.38.49, 234 miles), Ossie Jackson (60th – 2.14.45, 4.42.59, 226.7miles) and Arnold Dean (101st – 2.15.23, 4.52.10, 223.4miles) were the 9th fastest team in the B.B.A.R. Competition. Other stars were also shining in their own right, Jack Mullineux, Frank Cowsill and Harry Howarth took many first and second places in open events and constantly figured in team awards. Also prominent at this time were Vince Veevers, Bill Morgan and Fred Eldershaw; the latter’s sound counsel and cheerful reliability as Club Secretary playing a great part in keeping the club at the top. Mention has only been made so far of solo and tricycle achievements but tandem riding has also featured prominently in the club’s C.V., Hart and Harrison, Bridge and Jenkinson, Warburton and Eldershaw, Baxter and Cowsill and Leece and Cowsill were all successful combinations in that sphere and the last named pair, in September 1938, established a new record in the N.L.T.T.A. tandem 30 with the splendid time of 1.06.23. In 1937 there was not a single member of the Club who realised that they had a future world champion among them. On 4th April of that year, the result sheet of the Withington Wheelers 25 showed the second fastest man, with a time of 1.9.17, to be a certain Reginald Hargreaves Harris. This time, together with a 1.10.15 by Fred Green and 1.12.45 by Alf Nottingham, also gave the L.R.C. the team award. Reg had joined the club from the Bury C.T.C. so that he could take part in time trialling, but his main interest was always track racing and he left the club soon after this to join the Manchester Wheelers Club. The rest is history, except to say that Reg did rejoin the Club in 1991 and retained his membership until his tragic and untimely death in 1993. In 1939 the three most prominent figures were Leece, Haslam and Mullineux and their successes were many. Stan Haslam won his first Club Championship in 1938 and Jack Mullineux became the Club Champion in 1939. Jack thus holds the record for holding the trophy for the longest period, as the next time there was a competition was after the war in 1946! It was the end of an era. Who can guess what these three, and other club members could have achieved had not a far greater cause had a call on their services. Although Eddie was never a national champion, he was recognised in his day as being one of the fastest 25 milers, if not the fastest in the country. Eddie joined the club in 1935 at about the same time as Stan Haslam, and the two of them were not only training partners and club mates, but also very good friends. Like Stan, Eddie was a keen clubman and he served on the club committee for a number of years. Regularly, week in and week out, Eddie would win 25 mile events on the Brock and Copster courses with 1.2’s and 1.3’s and, although these times may not be fast by today’s standards, one must bear in mind the circumstances under which these rides were completed. A track bike with a fixed gear of 81” was Eddie’s normal mount, and he would be dressed in black tights and a black Alpaca jacket. All black was the normal garb of the time triallists of those early days, because cycle racing on the open road was forbidden and the all-black costume was “inconspicuous”. Numbers were not worn and all correspondence bore the message “Private and Confidential”. The course numbers of today date from those days when only the riders, timekeepers etc. knew where and when an event was taking place. The best years of Eddie’s short but illustrious and highly successful racing career were 1937-40. In 1938 he rode in 16 road events and 11 track events. In all 16 road events he was the scratch man, and he recorded 13 wins and 3 second places. “To choose any individual event that I have ridden in, or to classify any one particular ride as my most enjoyable or finest, would be exceedingly difficult, because I have enjoyed all my time trialling days. Rides in which I have returned comparatively slow times have given me unbelievable satisfaction. However, the ride of which I write, though not my fastest, was at the time a personal best. It was the weekend of the Wembley Six and, in conjunction with seeing the finish of this fine event, my team-mates and I decided that a 25 in the south would be a great double. So, after consulting the journals, our entries were despatched for the Tottenham Paragon 25. I think the inspiring sight of the hectic finish to the “Six” filled us all with an extra keenness for, in spite of having very little sleep at the headquarters through arriving late, and having an early start, I felt fit for anything – and the morning looked ideal too. Upon facing Mr Pittman, the timekeeper, the usual remarks came forth, “What are you going to do this morning Eddie?” “My best and twenty-five miles, all being well,” was as much as I dare say, though I had been informed that on the correct type of morning, this course was the goods. As I got my 81” gear turning, I began to think so too, for at eight minutes I had overtaken my “minute man” and I settled down to enjoy myself. George Nightingale, “The Charlotteville Flyer” and W. F. Brookes of Southend shared the scratch mark with me, and if I were to have a placing there would have to be no relaxing. All kinds of ideas flashed through my mind as I strove to reach the turn in less than half an hour. Could I beat my Personal Best? It stood at 1.1.27 then. If the return was going to be as fast as this maybe I could – dare I hope it would be? The checker appeared, and my watch showed my time to be under 30 minutes (it later proved to be 29.19), and given the information that I was fastest there was very encouraging indeed, and I headed for home in great form. Everything appeared to be in my favour for, as I had hoped, the return trip was fast. A fellow competitor who I overtook at about 17 miles informed me that the course record stood at 1.1.17 to none other than George Fleming! I began to feel really ambitious now and also to have the usual worries that always appear in the later stages of an event when a fast time is possible. Would my tyres be O.K? I held a searching hand to my tubulars, but all was well, and I pushed onwards. My friend and team-mate, Fred Eldershaw, who was standing by the roadside, gave me the “thumbs-up” sign, and I knew that such a signal from Fred was reliable. Honking up the last pimple my watch informed me that the hour had slipped by, but could I beat a 1.1? No not quite, but as I passed the timekeeper travelling at the limit of my speed, I felt quite confident that I had at least improved my personal best. A ‘wag’s’ remark that my feet were “going like a honeybee’s wings” justified my feelings, and the final placings showed that the event had been a very successful one for the Club and for myself. Team win by 1 minute from the Calleva R.C. Best of all, however, that day were laid the foundations of friendships with southern club-men that stand firm to this day. The other members of the L.R.C. winning team were 19 year old Frank Cowsill (1.06.10) and Fred Eldershaw (1.06.31). Before the Second World War the National Championship 25 had yet to be introduced, and the Solihull Invitation 25 was the Blue Riband event of the short distance time trialling calendar. The twenty-five top 25 milers in the country were invited to ride in the event, and in 1938, 1939 and 1940 Eddie was invited to ride. In 1938 the winner was George Fleming (Belle View C.C.) in a new Competition Record of 1.00.16, Eddie was second with 1.01.01, and in third place was the displaced Competition Record holder, Ralph Dougherty, in 1.01.14. In 1939 Eddie’s time of 1.00.50 was not quite good enough, the event being won, in 59.39, by Dougherty, the man Eddie had pushed into third place the previous year. In 1940 Eddie was again invited to ride together with Stan Haslam and Jack Mullineux. This time Eddie recorded a winning time of 1.00.46 and, backed up by his club mates, took the team award as well. With Stan’s time 1.02.00 and Jack’s 1.03.14 the team time of 3.06.00 had only been bettered once before, and that was by the current competition record of 3.05.34 held by the Monkton C.C. To put these rides into perspective one must examine the names of the riders Eddie defeated in these events. Alf Derbyshire became the B.B.A.R. on three occasions 1944, 1946 and 1947 and also won numerous National Championships, Ralph Dougherty was the first rider to go under the hour for 25 miles and George Nightingale was one of the top 25 milers around at the time and a prolific prize-winner. The one feat that eluded Eddie was an under-the-hour ride, but had the war not interrupted his racing career, it seems almost certain that he would have achieved his ambition. As well as time trialling, Eddie was also a track rider of some note. Probably his greatest achievement on the track was on 14th May 1938 when he won a four mile invitation pursuit match against professional Harry “Shake” Earnshaw who was one of the very best riders of the 1930’s breaking many time trialling and R.R.A. records. A fitting tribute to a great rider. Eddie died in 1986 and his widow, Mrs Dorothy Leece, very kindly donated a trophy and memorial fund to the Club. The Trophy together with a silver medal on a silver chain, is awarded annually to the winner of the Club’s Eddie Leece Memorial Open 25 mile time trial. As a mark of the regard in which Eddie and Dorothy are held, Mrs Dorothy Leece is now an Honorary Life Member of the Lancashire Road Club.